The ORNIS Committee was originally set up in 2006 as a consulting body to the government on issues of hunting and trapping in Malta. In 2013, the new committee consisted of six government votes, one pro-hunting lobby vote and one anti-hunting lobby vote, as described on this blog over a year ago. Today, this committee recommended the return of finch trapping in autumn, which is illegal in the EU. The only two words that spring to mind are “Just disgusting”. Here we have a committee that is dominated by government representation, whose sole purpose is to give a recommendation to the government on whether an EU wide illegality is allowed to happen. This is what I would call a double negative, which is created to make the government seem positive and environmentally pious (remember how multiplying two negative numbers gives a positive?) – however, when it comes to environment negativity is self perpetuating. Sadly, this outcome was very much anticipated and highly fomented by the current government’s secretive pre-election pledges to the hunting community. Not to mention the fact that Parliamentary Secretary Roderick Galdes mistakenly (and serendipitously for us) stated that the Maltese government was looking at a ‘technical loophole’ that would allow finch trapping to go through. Here we have the PS for animal rights fighting for an illegal practice banned in the EU to become reinstated – competency at its best. NOT to mention the fact that the Times of Malta reported that the government was breathing down the committee’s neck to recommend the re-introduction of finch trapping despite them knowing to be illegal – collusion at its best. NOT TO MENTION the fact that the secretary for the current ORNIS Committee is Mr Sergei Golovkin, who also happens to be the head of the Maltese government’s wild-bird regulation unit. This is the same individual who sounded like an incoherent imbecile when interviewed by the BBC, where he was effectively criticizing local NGOs for “very aggressive confrontational tactics” – incidentally, hunters hold the guns, while NGOs carry cameras and the smartphone – intelligence at its best. The ORNIS Committee is a puppet council, that exists only to prevent the government from publicly announcing an illegal trapping season itself – or in this case, to provide it time to find that so-called technical loophole. 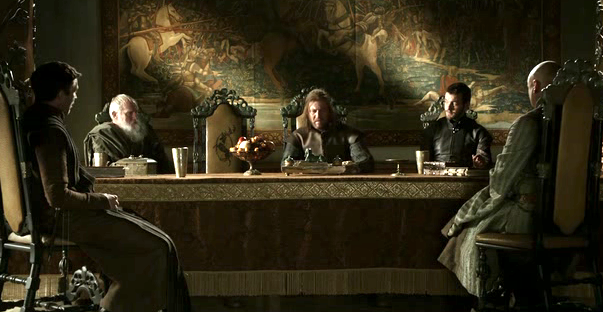 This committee makes the Small Council in Game of Thrones sound like the holiest Papal Conclave. If I close my eyes hard enough and eliminate ‘Malta’ from the equation , I can almost picture this being either Azerbaijan or China. And yet the majority are blinded by gimmicks and the arrogance continues. Sad. Very sad.